POKHARA, Mar 4: A few days ago, Province 4 speaker Netra Nath Adhikari informed during a formal program in Parbat that the next provincial assembly meeting would be focused on picking the name of the province and fixing its capital. Even though he talked for over an hour on this topic, he did not cite any possible names though. Among the seven provinces in the country, only Province 6 has got its name so far. Though others have appreciated the smartness of the province for quickly deciding an ‘appropriate’ name - Karnali, they have not been able to come up with such an undisputable name for their provinces. Drawing consent from every quarter and finalizing such a name has actually been a challenge for the rest of the provinces. Adhikari indirectly indicated during his speech that ‘picking the name is really a difficult job’. He said that the matter has indeed been under frequent discussion in the province. But none of the provincial assembly members have been vocal about it. 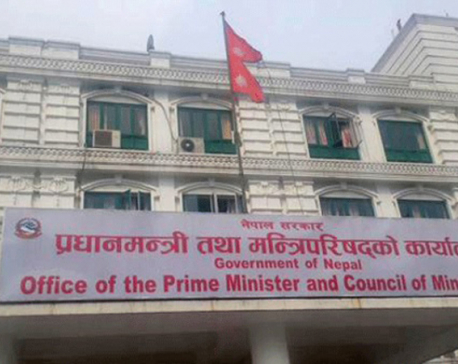 The provincial assembly meeting as mentioned by Adhikari is set for Monday. And it is quite unlikely that the members would reach to any consensus on this issue during the upcoming meeting. Even the members admit to this. The name ‘Karnali’ for Province 6 was well accepted both by the ruling and the opposition parties. This kind of ‘safe landing’ over the issue has set a precedent for others too, political analysts say. According to Kapil Mani Dahal, professor of political science, provincial assembly members should show their wisdom in narrowing down their differences and reaching consensus over such issues by being flexible. “If anyone pushes for the name on the basis of ethnicity, it would be unfortunate as it will trigger further and perhaps never-ending debate,” he noted. So, what everyone must strive for is peace and consensus, he stressed. The name which can be owned by one and all should be chosen. For instance, Karnali was indeed a brilliant choice. Dahal stated that avoiding name over caste or community is important for unity and harmony in any given area. Caste-based politics cannot be strong. And if caste-based politics happen to take over, then the real political agenda simply become weaker, he said. “And now, I believe that this thing has already been understood by the leaders. They will avoid influence of caste while naming the provinces,” he said. Dahal further said that a party cannot be led by caste or community. Instead, castes or communities have to be led by political parties. “It would be no exaggeration to say that Province 6 has set an example for all other provinces. How well they settled the name,” he said. According to Dahal, identity-based politics took the country in its grip once. But, fortunately, later that simply simmered down over the course of time. People realized that there are other important matters. “Gurungs raised voice for Tamuwan province once. Even now, there is a section of people who are still voicing for it. But there are other people who are more interested in avoiding conflicts. They will settle down for the name which will help maintain peace and harmony intact in their province,” said Dahal. “In fact, the caste-based names were not the demand of people in the first hand. They only wanted development and many other basic rights and facilities ensured. It was the leaders and parties who wanted to take advantage from the name of castes and communities who raised such issue,” he added. While provincial assembly members have opted to keep mum over the matter so far, people have however taken keen interest over the matter which is reflected in social media. While some are firmly for caste or community-based name for the province, some others have called for flexibility over the matter. Some of the names under discussions are Gandak, Gorkha, Dhaulagiri, Tamuwan - Magarat, Maachhapuchre and Annapurna, among others. 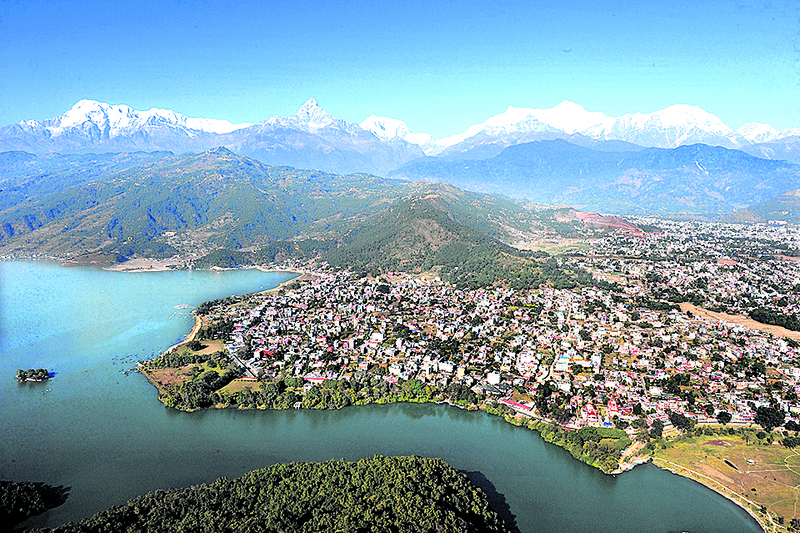 According to another political analyst Surendra Thapa Magar, Gandaki would be the best option. “Gandaki comes from Kaligandaki or Setigandaki rivers. This might not bring dispute. We can pick name from similar other resources we have,” he commented. He added that Nepal must take India’s example in consideration. “If we fail to realize what caste-based politics has done to India, we will be regretting it tomorrow,” he added.